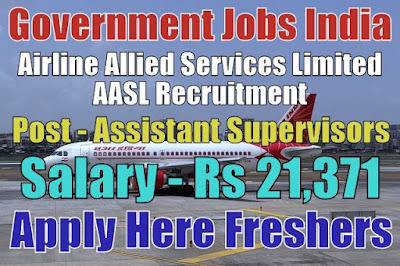 Airline Allied Services Limited AASL Recruitment 2018-19 (Government Jobs in India) notification for 24 assistant supervisor security posts. All legible and interested candidates have to attend walk-in-interview on (11-08-2018) & (18-08-2018). 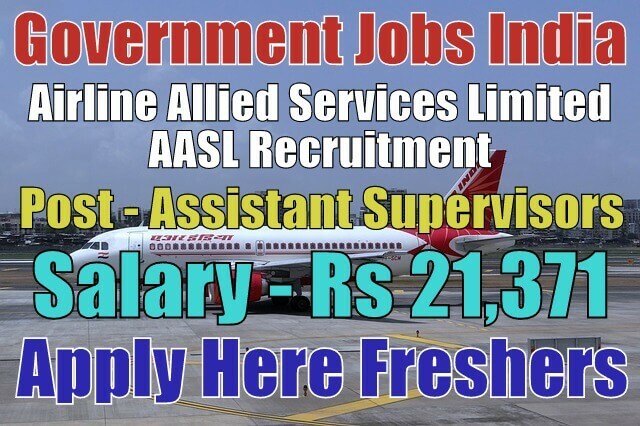 Further information about the Airline Allied Services Limited recruitment vacancy and job after 12th, courses, Air India jobs, salary details, AASL career, sports quota jobs, admit card, application fee, AASL government jobs in India, air force vacancy 12th pass, educational qualifications and all other details/information about this post is mentioned in details below. 1. Assistant Supervisor Security - 24. Salary/Pay and Grade Pay - For assistant supervisory security post, the payable salary will be Rs 21,371 per month. Further information about salary details is mentioned in the detailed advertisement. Age Limit - For AASL recruitment, candidate age should lie between 18 - 30 years. To know more about age details, click on the detailed advertisement. Selection Method - For recruitment in the Airline Allied Services Limited, the candidate will be selected on the basis of their performance in written exam, shortlisting and then personal interview. Candidates must be prepared for these tests. Last Date for Submitting Application Form - All candidates must attend walk-in-interview on (11-08-2018) & (18-08-2018). Late arrival candidates will not be allowed for interview. Application Fee - There will be no application fee for any category candidates. Regular employees of Airline Allied Services Limited AASL applying for the higher position are too not required to pay any application fee.